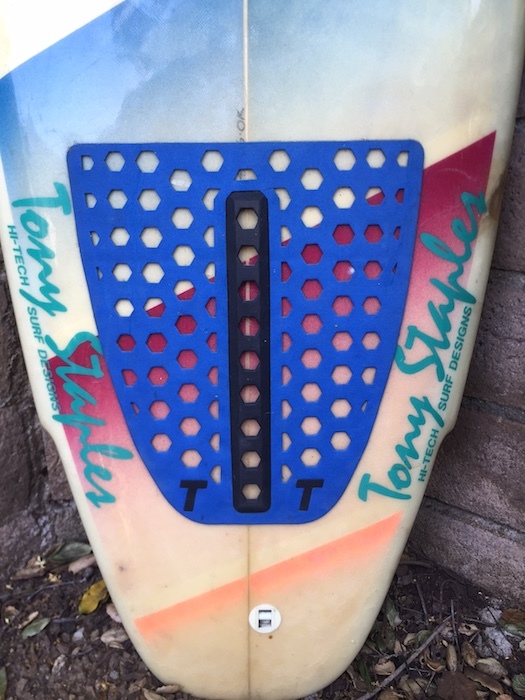 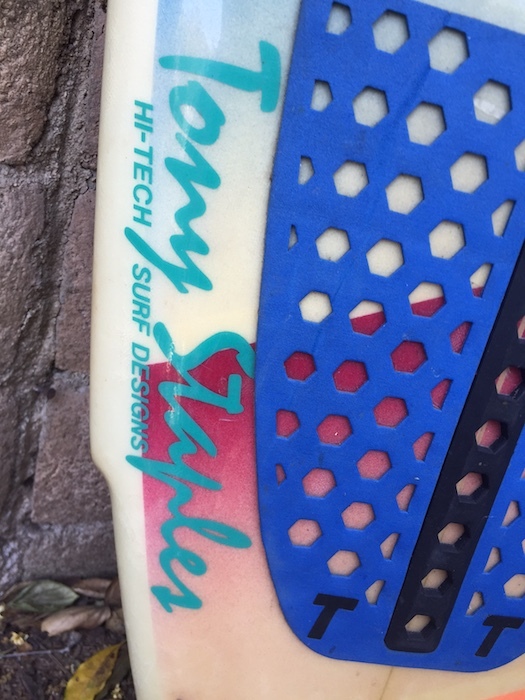 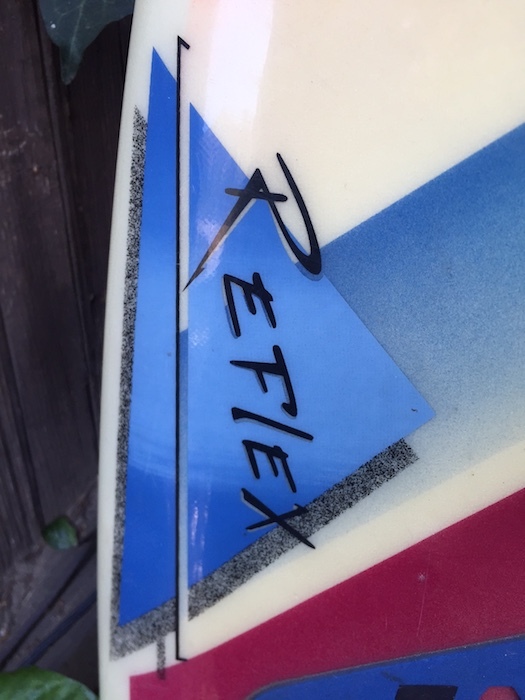 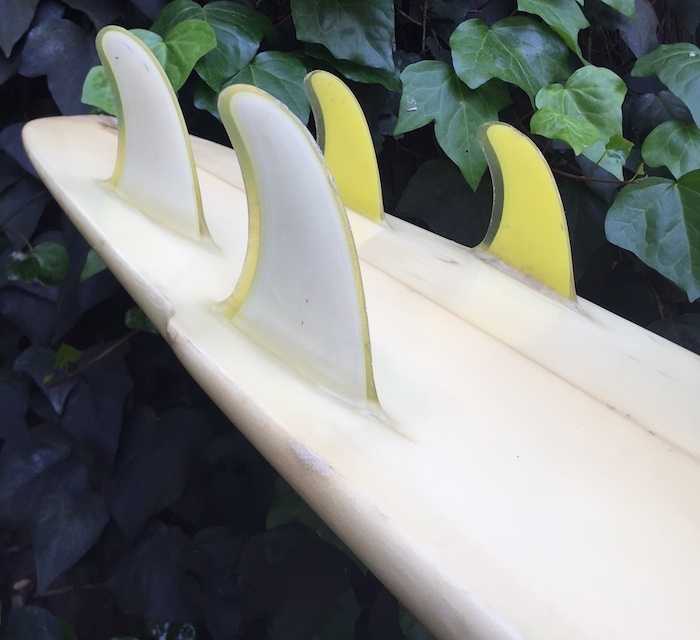 All original Hi-Tech Surf Designs 5’11 Quad-Fin shaped by Tony Staples in the late 1980s. 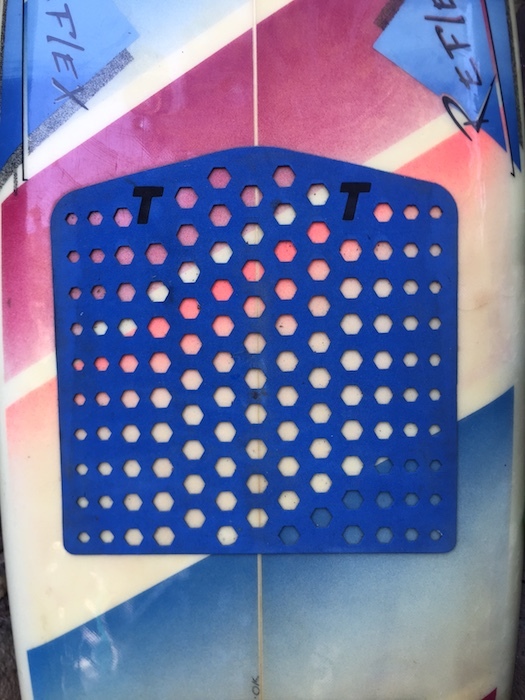 Retro airbrush design and original stomp pads. 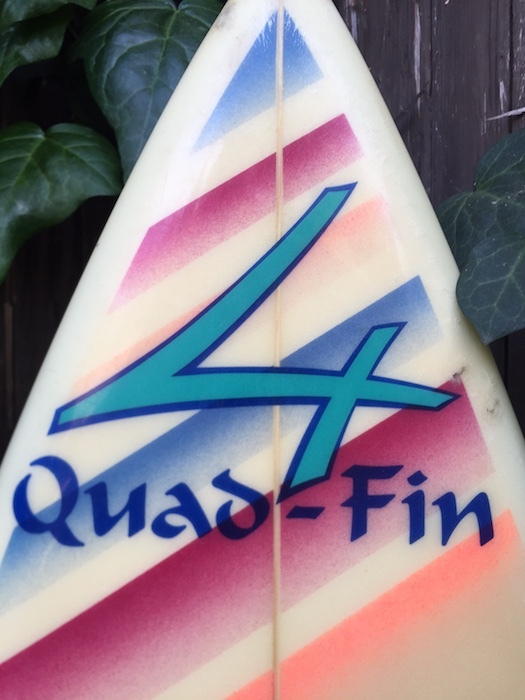 Awesome piece of surfing history!